As a married man and a father of three, I believe that I have a huge responsibility in care for the spiritual needs of my wife and my kids. I believe that was a responsibility I took on when I got married. Our roles in life as married people are to assist each other in getting to Heaven. I also took on that responsibility when I had my kids baptized into the Catholic Church. I made a promise to God to raise my children in the Catholic faith. Sometimes this seems like a daunting task. Heck, sometimes it seems like a gargantuan chore just to take care of my own spiritual needs much less those of four other people. As great of a responsibility that I face, I sometimes wonder would it would be like to be a priest with a parish of hundreds of people. I realize that a priest isn't ultimately responsible for every soul that is in his parish. We, as individuals with free will, are responsible for ourselves. But, a priest has a lot of responsibility too as he oversees his flock to do everything that he can to guide them towards a healthy relationship with God. 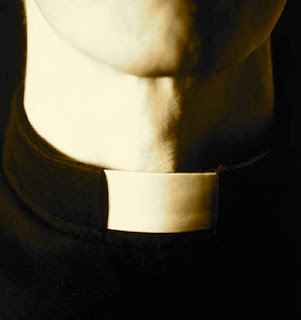 For these men to take on this responsibility is why I believe our priests are amazing. First of all, they take on vows and make promises to God that I do not think a lot of us would be willing to make. I mean, that whole "chastity" thing---that's when I realized the priesthood wasn't for me. I liked girls too much. It was a sacrifice that I was not willing to make. But I'm thankful for all those men who do feel that call and are willing to make those sacrifices. And for them, they not necessarily be sacrifices. For them, the calling may be a greater gift than what they are giving up. Secondly, as I mentioned above, I would think that as a priest you would feel and incredible responsibility for those who come to your church. I would think that you would feel that you are the ultimate role model. I would feel a certain responsibility towards ensuring that I do whatever I can do to get every soul that I encountered to Heaven. I'm not dumb. I realize that while priests may be the vessels that we receive the sacraments we have free will and are ultimately responsible for ourselves. Also, a side bar; I do realize that all of us, ordained or laity, have a certain responsibility towards ensuring we do to get every soul that we encounter to Heaven. We are all called to discipleship and there have been more than one instance where I've gone into confession and said, "for leading others into sin." Yes, being a cross section of humanity there are bad priests. I think the abuse scandals that haunt the church are the easy reminder of that. And there are some stodgy priests. Some who have no personnel skills and some who, well, should be hermets in a cave praying to God with a little contact with people as possible. But, overall, I think priests are amazing. I admire them and I'm thankful for them. I go out drinking with a lot of them. If you are a priest. Thank you. If you are seminarian. Thank-you. If you've ever wondered if you are right for the priest hood---I encourage you to invest some time and looking into it. God may be calling. I agree with everything that you said. I at one time seriously considered becoming a Dominican and would have then become ordained instead of just being a brother. Its a serious and hard decision because most religious as far as Dominicans, Franciscans etc have an extra vow that as far as I understand most regular priests don't and that's a vow of poverty. A brother and or priest ordained through a religious group in the church don't really own any of their own property (cars, etc). I thought long and hard about it. My now wife wasn't to happy that I sprung this on our relationship at the time but it was something that I had to finally confront and decide whether I was really being called to that life or if I was going to get married and have a family etc. I ended up choosing a family but looking into that life that intensely is something that I think has changed me forever in a good way. To this day I still feel close to the Dominican way of life and I try and follow some of what they do.